People who have not visited Rutland in the past few years may be surprised by recent changes - near zero downtown vacancy rate, a diverse and popular selection of programs at the Paramount, full restaurants, a successful year-round farmers' market and high participation rate in community events. Paul Gallo's role in these various endeavors has been as leader, evangelist, partnership builder, fundraiser, and hands-on worker. 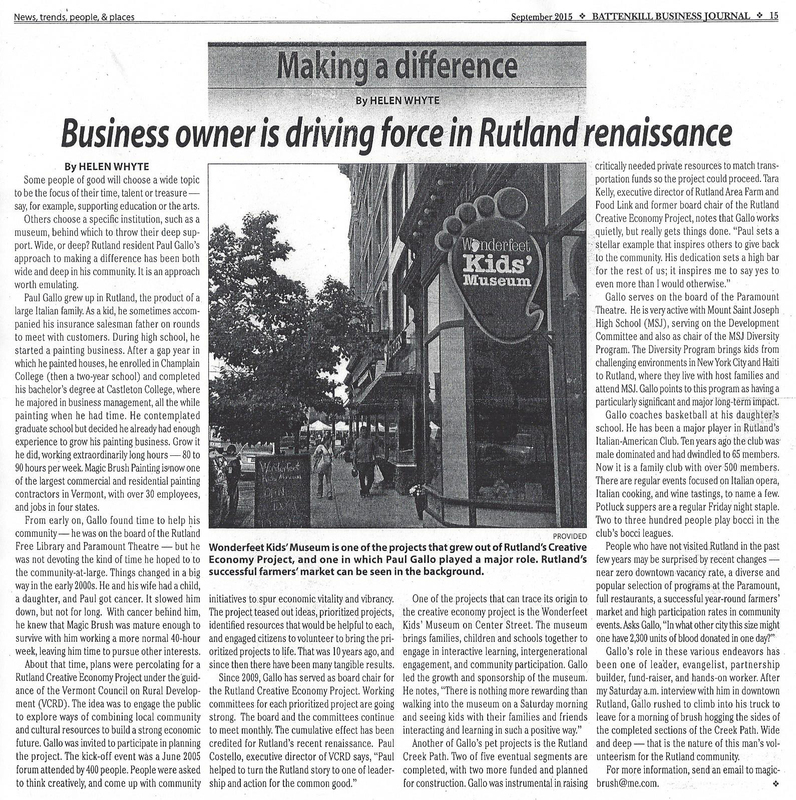 This article traces his history of community service in Rutland from his early days to the recent conception and opening of the Wonderfeet Kids' Museum and the Rutland Creek Path to name a couple.